This 3rd floor modern spacious 3 bedroom apartment is one of the nicest in the complex. The apartment is on the third floor. The lounge has a sofa and armchair, dining room table and chairs, satellite television with English channels, DVD and Video. There are patio doors leading on to the balcony. The separate kitchen consists of a full size oven and hob, fitted fridge/freezer and microwave. There is also a separate utility area with washing machine. The Master bedroom has a large double bed, and the further two bedrooms are twin rooms. The Master has an ensuite bathroom. There is also a separate Bath / shower room. 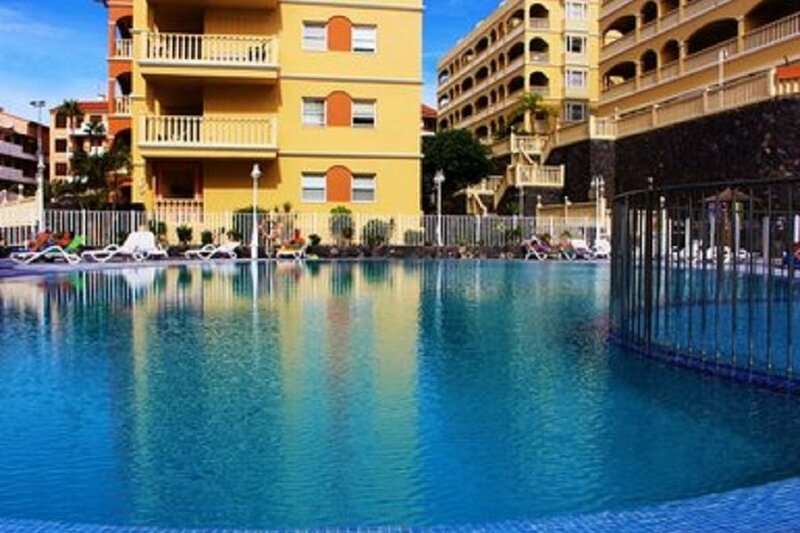 Winter Gardens is a fantastic complex with a lovely pool area that is well designed to keep the sun from dawn till dusk. There is a pool bar / snack bar, a good quality restaurant and a sports bar showing the main sporting events. The complex also benefits from a gym, sauna, jacuzzi and snooker room (all payable locally). Just across the road from this Apartment is a row of shops and restaurants, including a very good Chinese restaurant and a Spanish tapas bar. Behind here is the new marina with a gorgeous sea front promenade full of good quality bars and restaurants. There is also an Irish bar a few minutes walk down the road that shows all sporting occasions and has a live band every night.